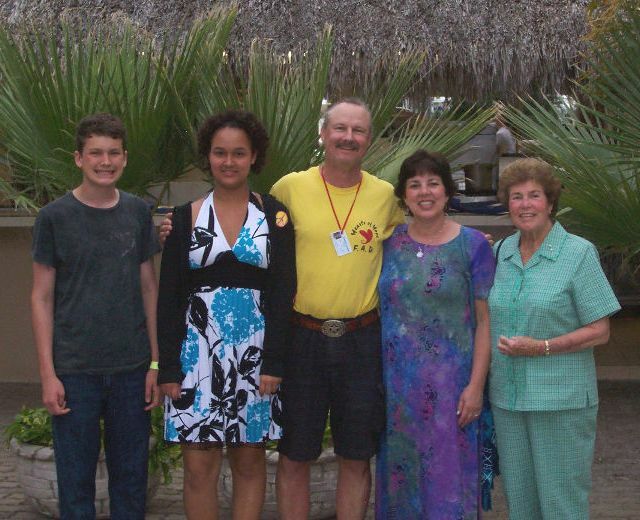 In preparation for this spring break vacation, we arranged for Elizabeth's mom, Marjean, to fly from Ohio to Houston a few days early, so that she would be well rested for the next part of the trip. 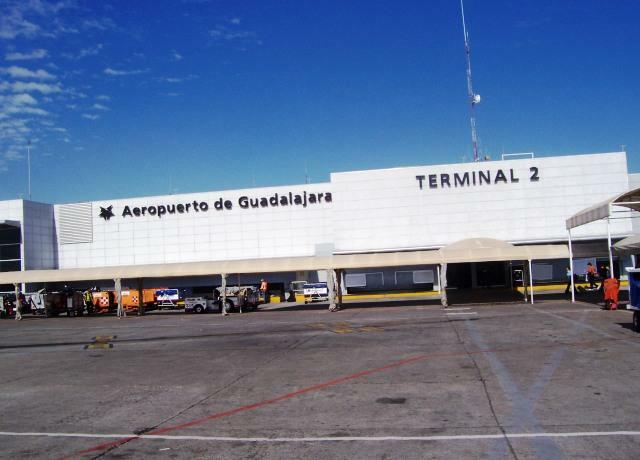 On Saturday, March 12, we flew from Houston Intercontinental Airport (Bush Airport) to Puerto Vallarta, Mexico by way of Guadalajara. We made our travel plans too late (in January) and all the direct flights were already taken. In any case, we boarded our flight in Houston, and made an uneventful trip to Guadalajara, where we changed planes and continued our trip to Puerto Vallarta. Upon our arrival, we got our bags at baggage claim, then went through customs. Then we went through a set of doors into a common area crowded with locals trying to hustle tourists into timeshare tours, taxis, and limosines. We set a course straight through the crowd and went to the back wall where taxi service could be arranged for a specified published price of $45 (US) for a van load of people including their luggage. 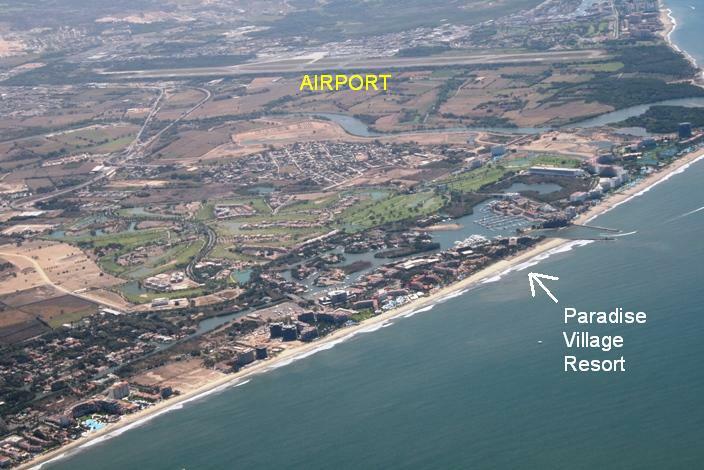 From the Puerto Vallarta Airport it took us only about 15 minutes to get to the Paradise Village Resort. Upon our arrival, the taxi van stopped for security clearance to drop us off at the front check-in area located in the Tikal Tower. We waited in line at check-in and eventually got keys to a room on the bottom floor of the Uxmol Tower. We preferred to stay in the Tikal Tower, but all the two bedroom units were already taken. Postcard from the Paradise Village Resort. Family photo of our spring break party. during Spring Break week in 2010 are linked below. 1. Paradise Village Resort - Outdoors. 2. Paradise Village Resort - Swimming Pools. 3. Paradise Village Resort - Indoors at our resort unit. 4. Paradise Village Resort - Beach. 5. Paradise Village Resort - Tennis Lessons and Tournaments. 6. Paradise Village Resort - Skit Night on Sunday. 7. Paradise Village Resort - Fiesta Night on Monday. 8. Paradise Village Resort - Western BBQ on Wednesday. 9. Paradise Village Resort - Restaurants. 10. Parasailing from the back end of a boat on Thursday. 11. Driving Green Zebra Tomcars in the Mountains on Friday. 12. Paradise Village Resort - Flowers. Tom wrote a daily journal of activities during our spring break vacation. 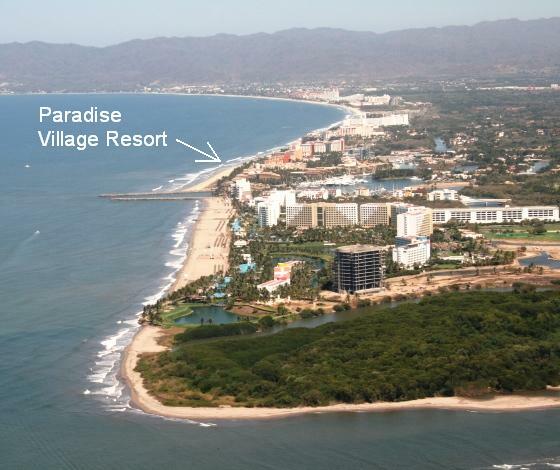 Some of the journal content may be useful for planning and packing for future trips to Puerto Vallarta. Click here to open a new window containing the full journal. If you have a highspeed internet connection and your PC can read an MOV format video file, then you can see a 12mb video clip of Toms ride while parasailing over Banderas Bay. The clip can be accessed at this link. If you are using a dialup connection, don't bother with this link. Some day Tom needs to convert this clip into a more standard video format. 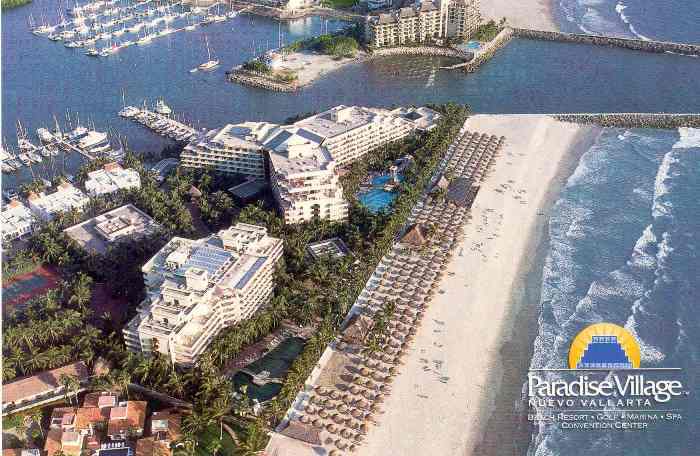 More info about the resort can be found at the Paradise Village website by clicking on this link.